Looking for fun Halloween ideas for kids? 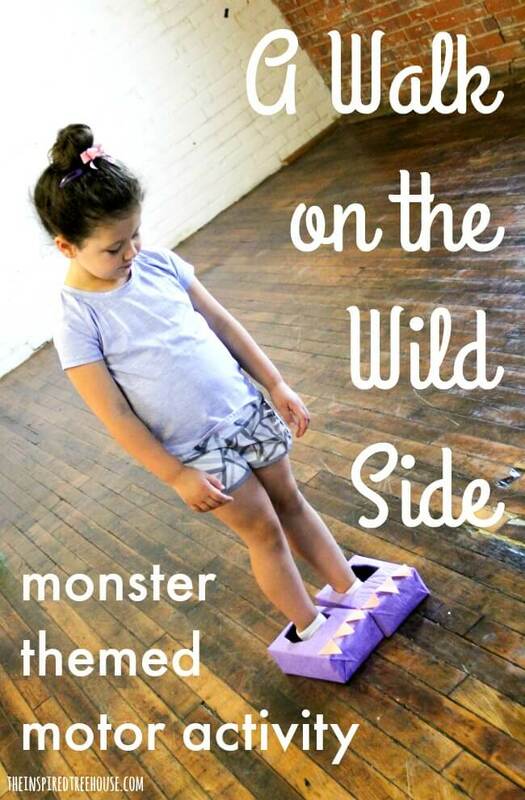 Kids will love wearing these fun monster feet to take a walk on the wild side! This is the perfect balance activity for a Halloween party! What kid wouldn’t want to be a monster for a day? 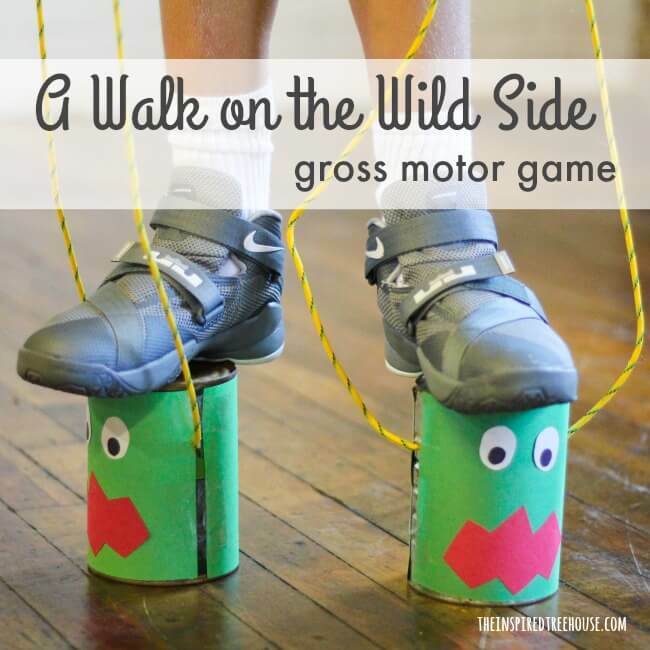 When you change your base of support, (what you’re standing on or in) during gross motor skills activities, your body reacts differently to balance, body control and coordination challenges. 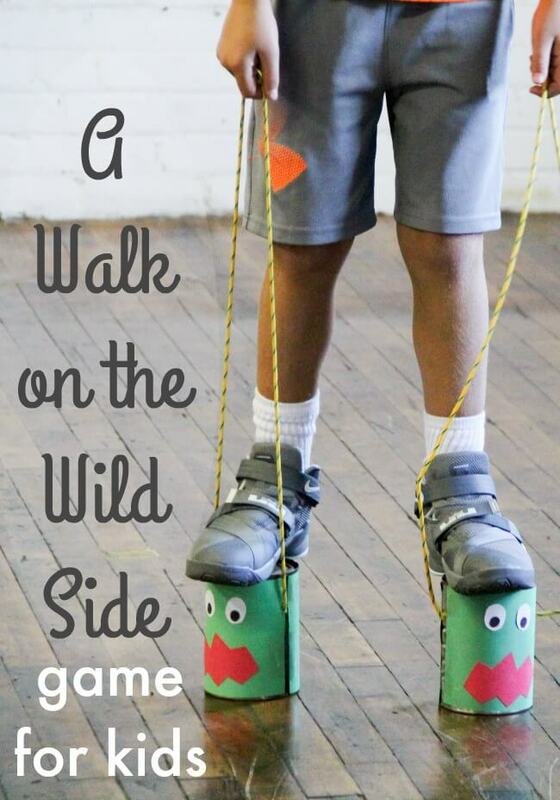 Kids love walking in bigger shoes or on stilts and it can be a great confidence booster when they realize that they can do it! This Halloween idea for kids is fun for all ages! Kids will get to try out two different types of “monster feet” for this Halloween idea. First, whip up some monster feet from empty tissue boxes. Allow your child to use their creativity here (and their fine motor skills!) to decorate 2 boxes to look like monster feet. Add fur, colored paper, claws – get creative! The opening for the tissues will be where they will insert their feet. The second type of “monster feet” will be a pair of stilts. We used construction paper to decorate our stilts to look like monsters! Create a maze on the floor using painter’s tape or, if you’re outside, use sidewalk chalk. Place a few low obstacles along the path. Some suggestions: twigs, a low hung rope, a ramp of some sort, a pile of leaves. Allow the path to travel on both hard and soft ground. If you are inside, use pillows as the soft path. Encourage your child to maneuver through the path wearing his monster feet. Now try it without. Was it easier or harder? – Put on some Halloween music. 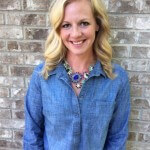 Can your child march to the music? Can they dance? – What other fun obstacles can they find to step over and around? A pumpkin? Another Halloween decoration? – With the tissue box feet, can they jump? Walk backwards? – A little competition is always fun — have a race! Who can get through the obstacle course the fastest? -Not in a crafty mood? Don’t worry! Buy a pair of monster feet! Pair this game with our Pumpkin Relay Race for Kids or our Candy Corn Relay for a super fun classroom Halloween party! Add in this Vampire Teeth Fine Motor Game for even more fun!